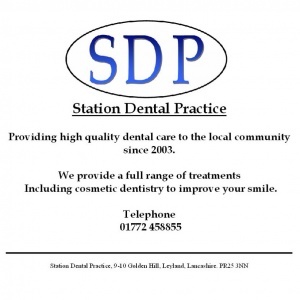 About us Station Dental practice was established on the 16th December 2003.&nbsp; We understand the needs of our patients; ensure your treatment is done in complete confidence by properly trained staff, and that you are involved in decisions about your care. We endeavour to see all patients and our practice has been designed so patients with disabilities can access care. We have five modern dental rooms compromising of three upstairs, and two downstairs.